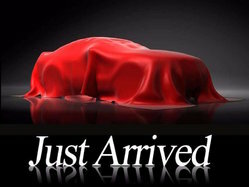 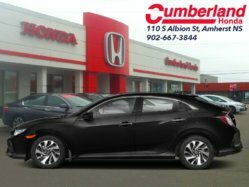 Sunroof, Heated Seats, Apple CarPlay, Android Auto, Lane Keep Assist! Small updates have managed to recreate this 2019 Honda Civic Hatchback into an elegant, sporty and sophisticated vehicle worthy of your attention. 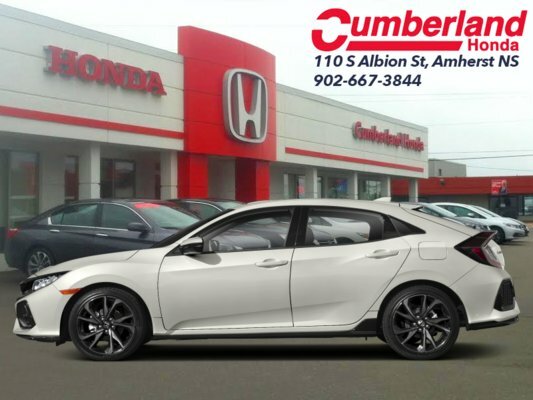 With a comfortable and roomy cabin crafted with premium materials, superb ride quality and exceptional handling, this Honda Civic hatchback is definitely a must-drive must-own vehicle that will not disappoint. This white orchid pearl hatchback has a manual transmission and is powered by a 1.5L I4 16V GDI DOHC Turbo engine. 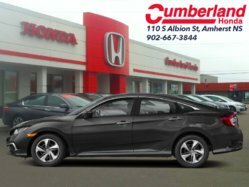 Motivated by that frugal motor it gets 8.0 L/100 km in the city and uses just 6.2 L/100 km out on the highway according to Transport Canada. 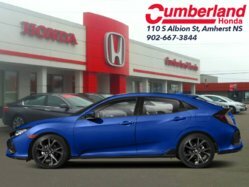 Our Civic Hatchback's trim level is Sport 6MT. 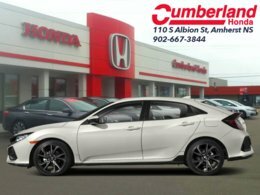 Stepping up to this Sport Civic gets you some great features for luxury and performance with a power moonroof, leather steering wheel, proximity key, aluminum trimmed sport pedals, fog lights, and a blind spot display. 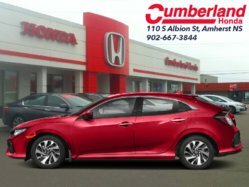 Other standard features include collision mitigation with forward collision warning, lane keep assist with road departure mitigation, adaptive cruise control, straight driving assist for slopes, and automatic highbeams. 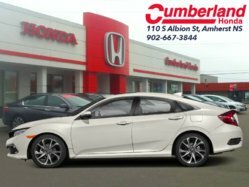 The interior is as comfy and advanced as you need with heated front seats, Apple CarPlay, Android Auto, Bluetooth, Siri EyesFree, WiFi tethering, steering wheel with cruise and audio controls, multi-angle rearview camera, 7 inch driver information display, and automatic climate control. 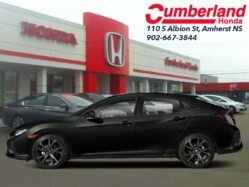 The exterior has some great style with a refreshed grille, aluminum wheels, independent suspension, heated power side mirrors, and LED taillamps. 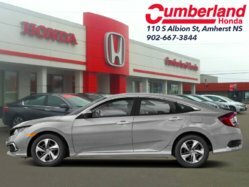 This vehicle has been upgraded with the following features: Sunroof, Heated Seats, Apple Carplay, Android Auto, Lane Keep Assist, Collision Mitigation, Bluetooth.